Over half a million trees planted throughout Ireland and counting! 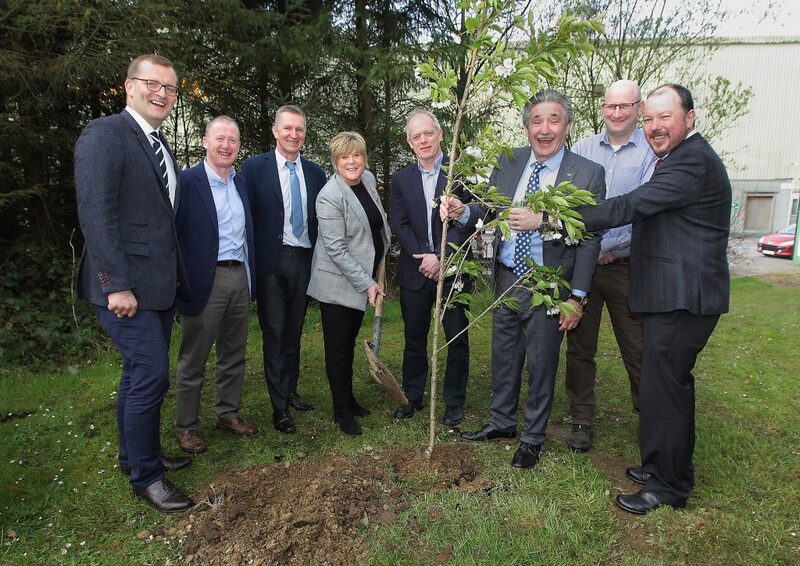 Tuesday, 9 April 2019: To mark National Tree Week coming to a close, Minister of State for Training, Skills, Innovation, Research and Development, John Halligan T.D. was on hand to plant a tree at MEDITE SMARTPLY who are part of the Coillte group based in Waterford. This year’s theme ‘Planting for our Planet’ is more important than ever. Trees play a significant role in our climate change strategy by soaking up carbon emissions while also providing a renewable and sustainable building resource through their timber. Trees improve air quality, provide shade, increase biodiversity, provide food and shelter for wildlife, reduce local wind speeds and the effects of flash flooding. As well as the environmental benefits, there are social and economic reasons to plant trees. National Tree Week is sponsored by Forest Industries Ireland and encourages communities and people to come together to celebrate and enjoy trees and all their uses. These range from building our homes to cleaning the air we breathe and even giving us a place to connect with family and friends in many of the recreational sites available throughout Ireland. Since the beginning of National Tree Week, over half a million trees have been planted across Ireland. Coillte work in partnership with the Tree Council of Ireland to facilitate the supply and distribution of over 15,000 trees for National Tree Week, which are delivered to community groups all across Ireland. This year’s theme ‘Planting for our Planet’ is a particularly important one, as trees help reduce climate change effects by reducing the amount of greenhouse gases in the atmosphere. 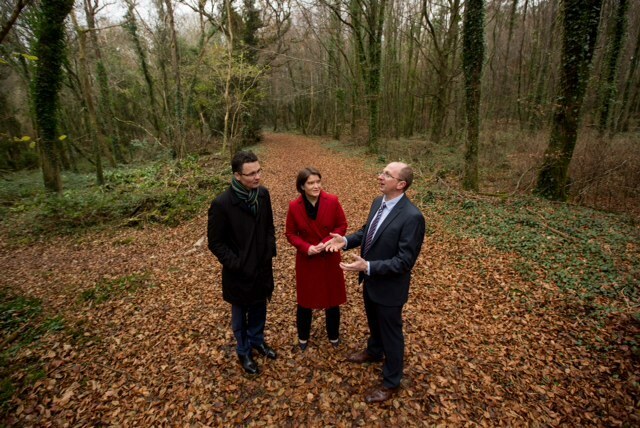 Forest Industries Ireland and The Tree Council of Ireland want everyone to learn about the incredible ways trees support us and our natural world, and how trees can help tackle climate change. 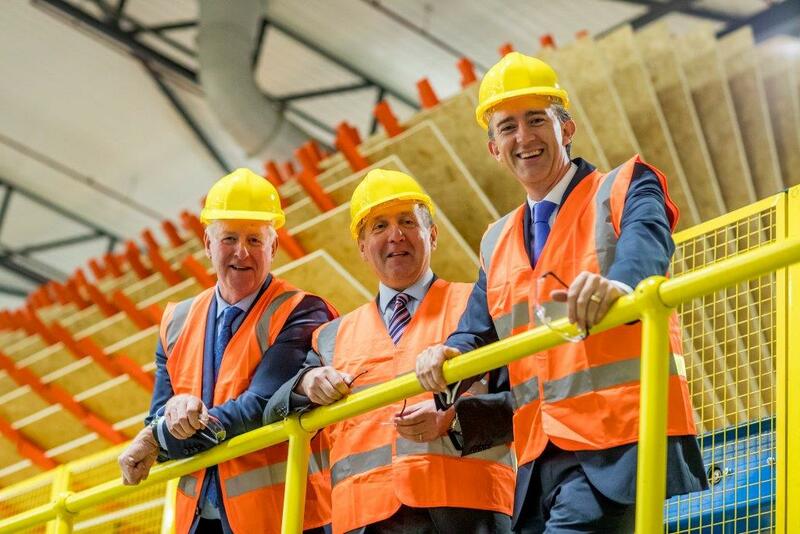 Minister of State for Local Government and Electoral Reform, John Paul Phelan TD, was pleased to take part in an official tree planting ceremony at the MEDITE SMARTPLY facility in Co Kilkenny. “I am pleased to be here in Waterford to take part in this tree planting ceremony at the MEDITE SMARTPLY facility. We are marking the end of National Tree Week and I wish to commend everyone involved and particular those around the country who planted a tree during the week. To find out about the benefit of trees and tree related events happening in your area, please visit www.treecouncil.ie. For all media queries or to arrange an interview with a relevant spokesperson, please contact; Marie Lynch at Carr Communications marie@carrcommunications.ie / 087 973 0522/01 772 8900. MEDITE SMARTPLY is a market leading manufacturer of sustainable timber construction panels. Our award-winning brands MEDITE and SMARTPLY are renowned for delivering the highest quality products, customer-led innovation and industry leading customer service. Our manufacturing sites in Clonmel (MEDITE) and Waterford (SMARTPLY) in Ireland feature the latest production technology to deliver straighter, flatter and more consistent boards than ever before, in a range of sizes and thicknesses unparalleled within the industry. Constant progression and investment have allowed MEDITE SMARTPLY to enter new diverse markets and sectors, meaning that there is always a fresh pipeline of new products to address market demands. As part of the Coillte Group, we pride ourselves on our sustainable supply chain and manufacturing processes, meaning our products are as environmentally conscious in their make up as they are in their application. 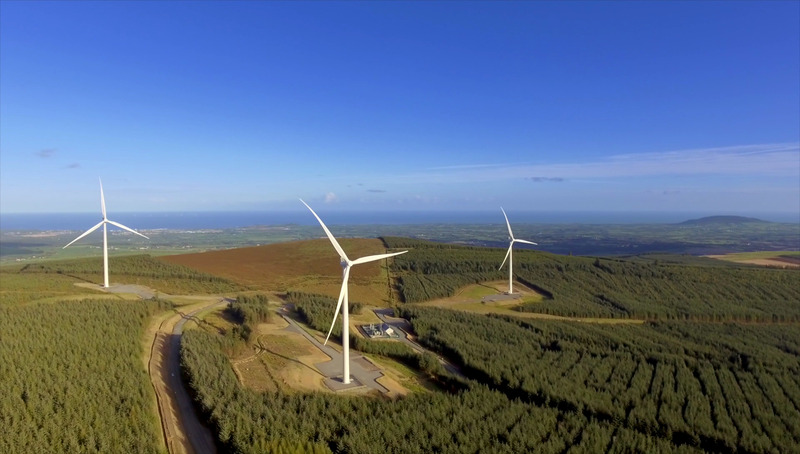 Coillte, Ireland’s largest commercial forestry company, manages approximately 7% of the country’s land. 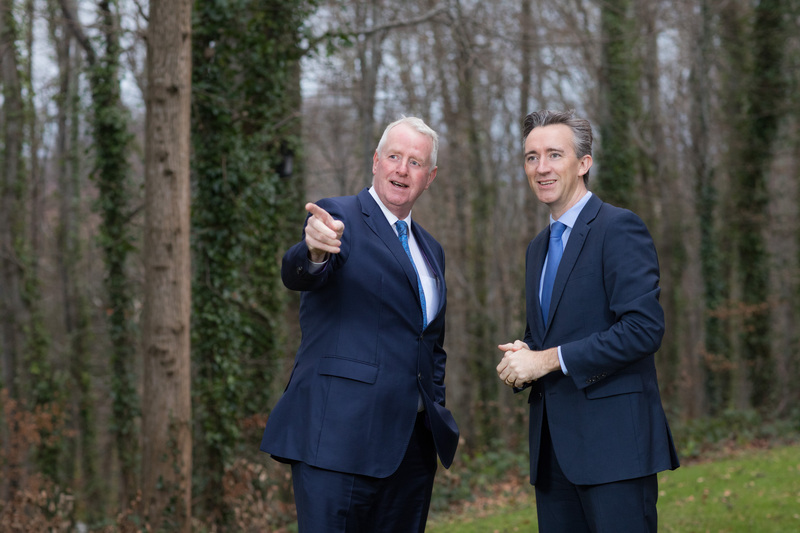 Coillte operate three strong businesses from this land – its core forestry business, a wood panels manufacturing business MEDITE SMARTPLY and a land solutions business. 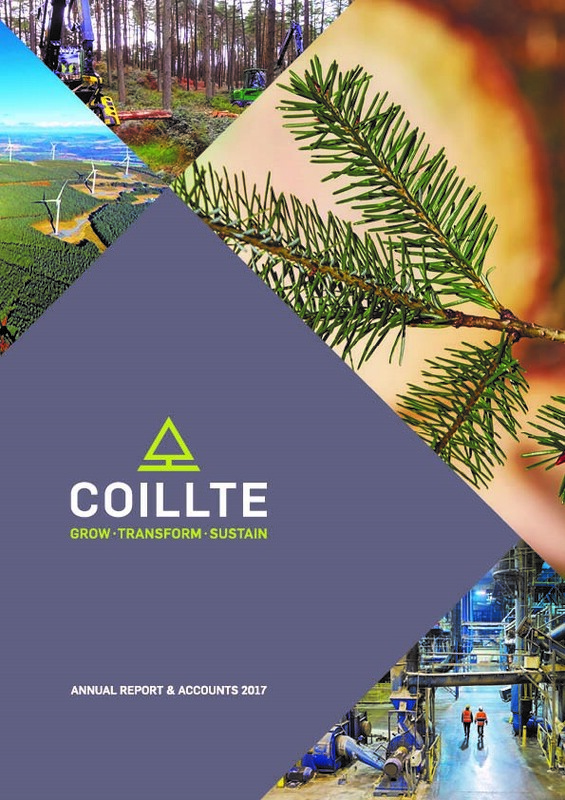 Coillte export to over 30 countries worldwide and in the financial year 31 December 2016 generated EBITDA of €98.3 million from its €1.5 billion asset. 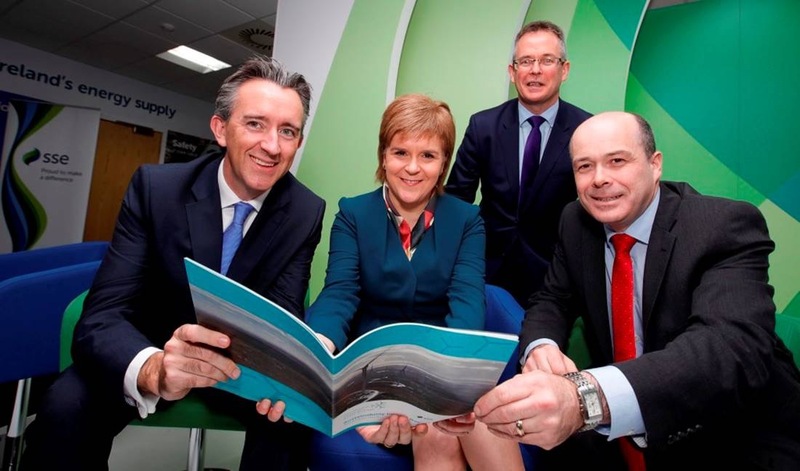 Coillte’s vision is to be the best forestry and land solutions company in Europe. The Irish forestry sector supports 12,000 rural based jobs in Ireland, contributes approximately €2.3 billion to the economy every year and has the potential to double in size over the next ten years.